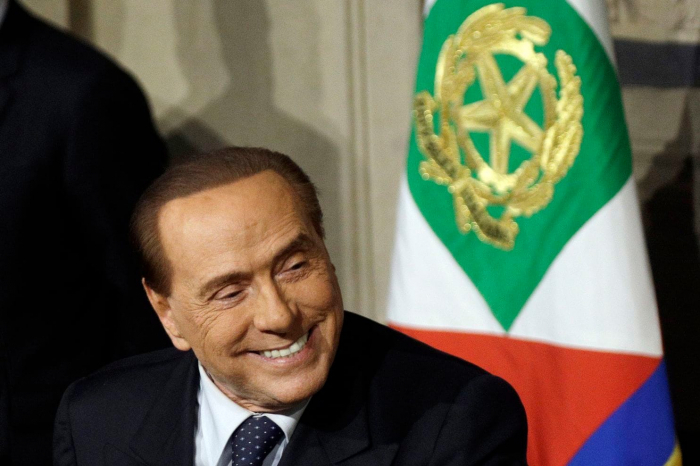 Former Italian prime minister Silvio Berlusconi has said he will be running for the European Parliament in May's election because he wants to fight for a more united European Union faithful to the vision of the bloc's founders. Mr Berlusconi, 82, spoke at a weekend convention of his centre-right Forza Italiaparty, which has seen its popularity fall in recent years. Italian voters have turned to parties on the right with anti-migrant and Eurosceptic messages, especially Italy’s League party. The League governs Italy in a coalition with the populist 5-Star Movement. Its leader, Matteo Salvini, who is also the country's hard-line interior minister, has been reaching out to nationalist parties beyond Italy in hopes that they can join forces and make gains in the European Parliament elections. The League’s aim is to halt the process of European integration and return more powers to national capitals. On Saturday, Mr Berlusconi said that he, in contrast, wants Europe "to return to the project of the founding fathers, who wanted a much more united Europe, a Europe with only one foreign policy, with only one defence policy." Mr Berlusconi had been barred from running for public office for nearly five years due to a tax fraud conviction. Citing his good conduct, a court last year ruled that he could once again run. He said that "even in [his] old age" he wants to work for change in Europe. European Parliament elections run from 23-26 May in all EU nations.